I like how the NIV Bible translates this verse... Above all, love each other deeply, because love covers over a multitude of sins. When Adam and Eve fell in the Garden of Eden, they realized that they were naked and felt shame for the first time in their lives. It is terrible to feel uncovered and exposed. That is why so many of us try and cover our own spiritual nakedness with activities, accomplishments and possessions. 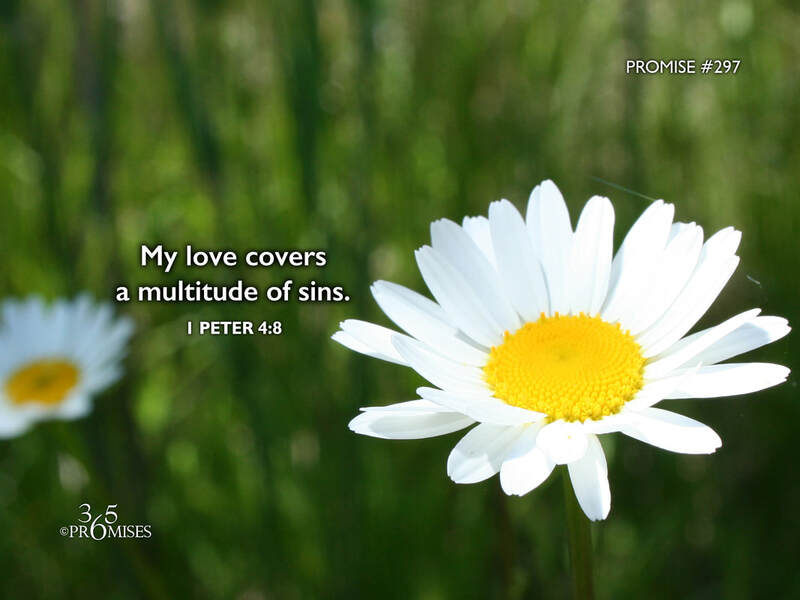 I love today's promise because it says that love actually covers us. Not only does it cover all our sin, but love covers every area in our life where we feel naked and ashamed. The best definition of love that I know of can be found in 1 Corinthians 13:4-8. It talks about how patient love is, how kind it is, how it doesn't get easily angered, how love believes all things, hopes in all things, and endures all things. The love that we were created to receive will never fail. Ever. If you are struggling today with a feeling of being uncovered in some way, be encouraged to know that love will cover you completely, for that is what love does. It always protects. My prayer for each one of us is that we would know more of our Father's love today than we did yesterday and tomorrow will be a new opportunity to know even more of His unending, amazing, eternal love!